Idea for new challenge "The mech workshop"
But using mechs, vehicules or characters. I would go for mechs since they are more simple and easy to mix and match (and popular i think). So everyone decides if they want to make chassis, weapons, gizmos or whatever. And then everything is ordered in one file just ready to be drag and dropped to make a fully fitted mech. The above link does a great job of that. Do you people think is a good idea? On a side note, i think iniciatives like this one are the kind OGA needs, since the biggest drawback of open art is the lack of homogenity in art quality. You can find 2 awesome models that are totally different in style, and thats no good for any project, while a set of decent quality has far more aceptation and usefulness. Just my opinion. *) To be sent to OGA-officials by paypal or european bank transfor for use as they see fit. I would also be interested in funding such "workshops". While I can't really say I'm interested in mechs, I do like the general idea of homogenous art and would support a mech workshop. I'd rather see something like this as an ongoing community project than a finite period challenge. Funds could be used to hire an artist to develop a starter set like with the LPC which then sets the standard (poly budget, texture density, texture types, etc.) for community expansions to the set. I could certainly chuck a few bucks at a thing such as this. Although having a builder is good to have, other assests that will go well with the theme should be encouraged. Like buildings and props. I think time frame should be long enough to gather materials that can fill a decent game. Something like 3-6 months or until the judge is satified with the amount of material that is created. I also have an additional idea. In addition to monetary award, there can be on site badges related with these workshops. Something like best model, best support model, best texture, etc... To push it a little bit further, these medals can be temporary, as long as your model stays best you will hold on to the badge. Therefore, even the current owner of the badge should push forward. For folks who don't do 3D modeling, concept art would be good too. (Even if you're not that great at drawing, if you can scrawl together some creative ideas for people to build on, it would be helpful). I like the idea of having ongoing workshops and I'm willing to set something up about it on the main page, but I need somebody who's willing to step up and take the lead on it (that is, do a write up about the workshop and give people some direction). Is anybody up for doing that? The more, the merrier. however I have a language barrier, he would need help from a copyeditor to make this work better, Greetings! sin embargo tengo la barrera del idioma, necesitaria ayuda de un corrector de estilo para que esto funcionara mejor, saludos! Killy, con gusto podría ayudarte a traducir todo al ingles. That would be awesome, if you guys would be willing to do that. I'm thinking a forum thread might be the best way to do it. If you guys want to start one (give people a week's notice or so before actually jumping in), I'll link to it on a block from the main page so it gets some exposure. 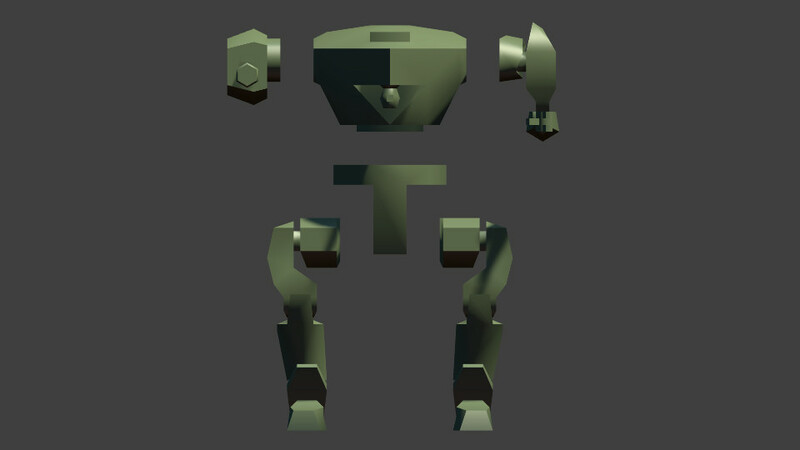 I like the mech idea and will probably contribute (both with 3D models and financially if needed). I think one of the problems with prior packs has been the lack of UV-mapping however, which at least rudimentially should be part of every included assets as it is a quite hard work to do that afterwards for a lot meshes you have not done yourself. There was a nice pack of similar stuff, including mech/airplane cockpits and such already recently on Blenderswap (which seems to be currently offline otherwise I would link it), which would be a nice start. 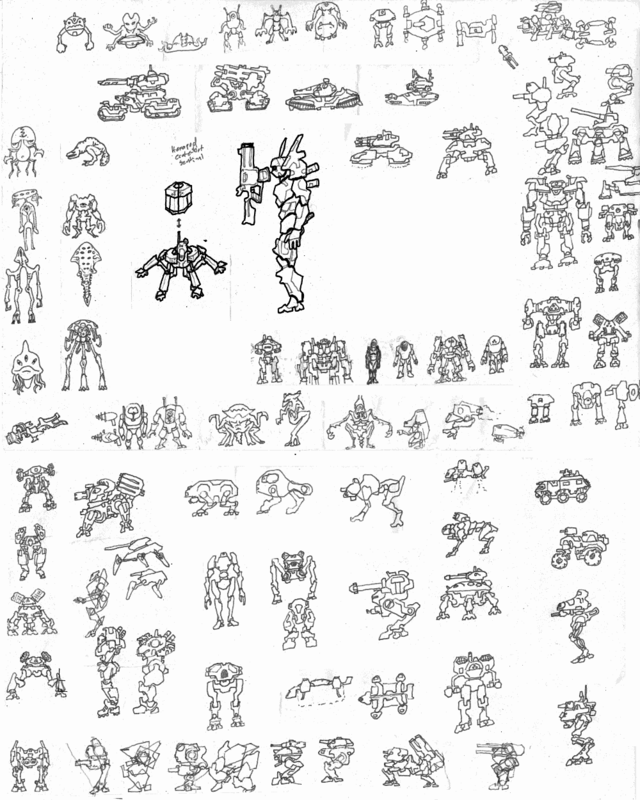 Maybe that artist could be convinced to repackage and expand the pack to be mech focused as a base? @Julius: It would be very nice to have all models to have UV maps, textures animations etc... But there is an issue. Not everyone can do those (like me). So maybe, instead of everyone doing complete models, we can have different people working on different parts. However, I do agree that end products should contain UV mapping, textures, rigging and animations, so that they will be ready to be used. Yes, unfinished models are quite a pain, and sincerely i dont think many people have the time or skill to finish them; OGA have lots of unfinished models and even i myself have trouble skinning and texturing my own models so working on ramdon ones is a vexing thing to do. So the idea would be that each part would be complete, rigged, skinned and textured. Be it legs, weapons, torso... So if for example i want a bipedal mech with a cannon and machine gun, i just need to drag and drop everything to their place and parent the bones/rig of each part to a master bone. 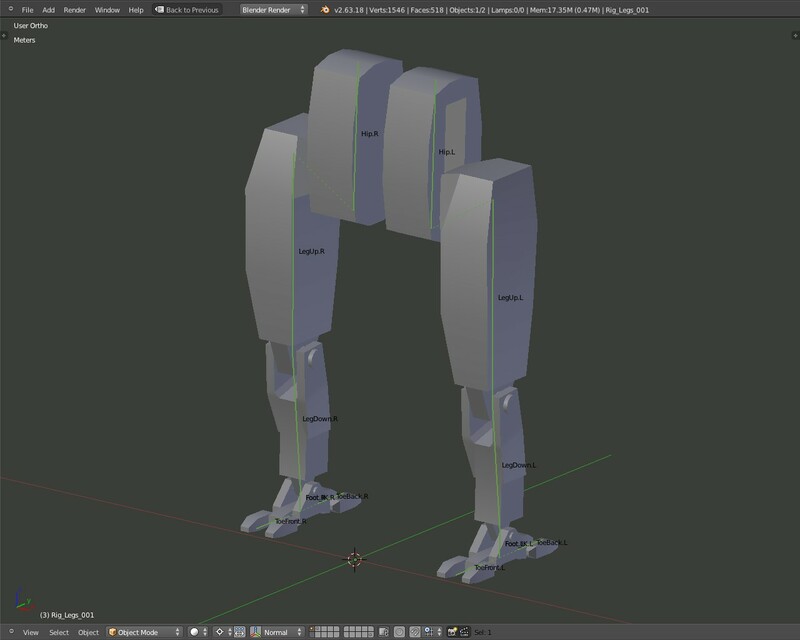 Need quad legs instead of bipedal? just switch them and parent the quad legs to the master bone. So everything would be done in modules, a bit of knowledge is involved, but the end results would pay up. Julius:"There was a nice pack of similar stuff, including mech/airplane cockpits and such already recently on Blenderswap (which seems to be currently offline otherwise I would link it), which would be a nice start. 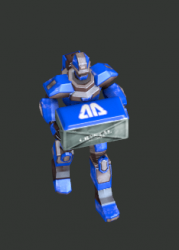 Maybe that artist could be convinced to repackage and expand the pack to be mech focused as a base?" Bart, is it possible for active workshop to have a separate section in homepage, just like recent art? I have started working on a system for mechs to have standard slots for extensions, like weapons, cooling, fuel units etc. It will also be very nice to have a common scale too. I tend to have blender units in centimeters. But considering mechs, this could lead to very big numbers. May be it should be meters? I think having common scale and and standard slots will make mixing easier. This workshop is a very nice idea. I concur with Julius that the models should be at least unwrapped. That's the job of a modeler anyway. Modular design would mostly be for add-ons. But being able to choose different style legs for different units would be nice too. To avoid tiny-legs-on-heavy-torso problems, every part designer (or someone who is willing) might define limits for parts (like weight). 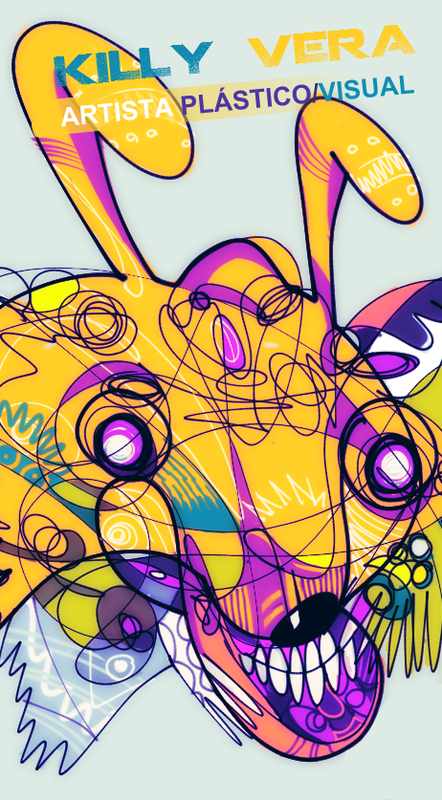 I hope I will have some designs to show by monday. 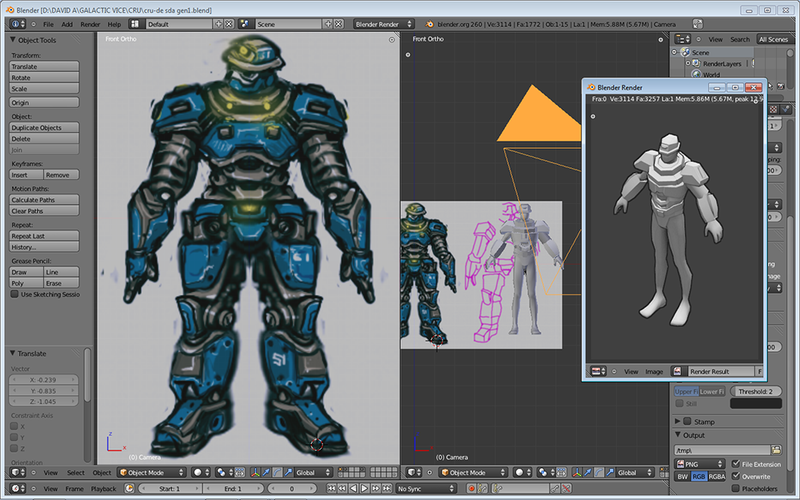 For unwrapping part, all I can do is to select smart uv project and modify it to fit texture space. I always have issues with scale and aspect ratio problems. @Danimal: Yes that was the Blenderswap I was thinking about. Otherwise... 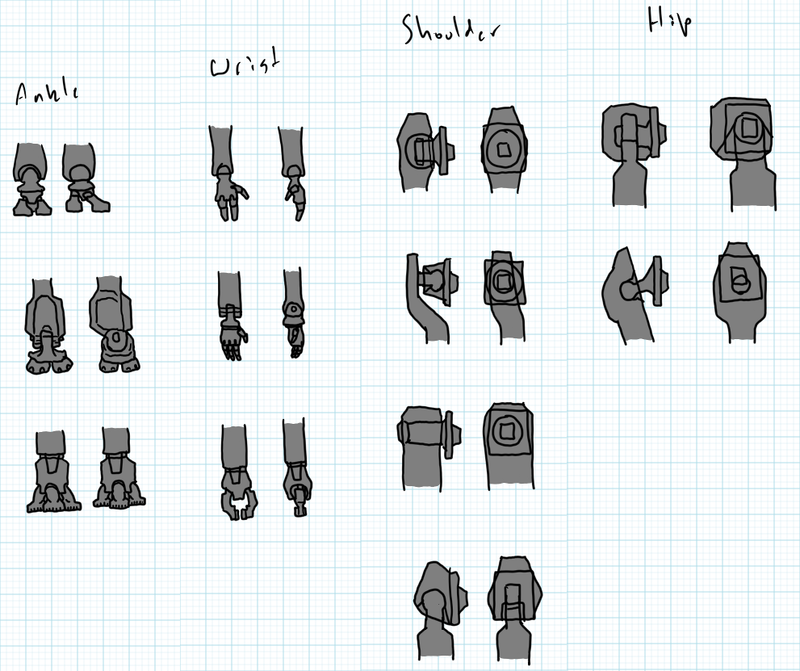 I am not sure if we should go for a complete set of modular mechs, all textured and animated already. First of all this really rises the entry bar for contributions and most of the time each game has it's one art-style or some specific requirements (like a Mech RTS couldn't use the same mechs). A set of (unwrapped) parts to be used by a skilled modeller to speed up all the detailing parts (for example building a detailed cockpit, or a weapon with a lot of surface detail) would probably be sufficient for most game projects, and would attract more contributions for sure. Some general conventions about the UV layout could be useful too, like (just an example) lower third for torso, middle third for legs, 2/3 of upper third for arms, 1/3 or upper third for head. 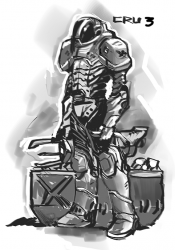 And now I forgot the weapons, I am not going to rewrite it, a graphical suggestion would be better anyway. @Julius: I dont think a modular system will make things harder. Initial aim was to create something similar to spaceship shipyard, modularity will make that target reachable. By modularity I dont mean legs, arms, cockpit (at least it was not my first intention). With modular weapons, and other add-ons, a mech modeller will only need to model the mech, not the weapons and other stuff. When I got the time I will create a sample and templates for these attachment points. This would probably be a good springing off point? 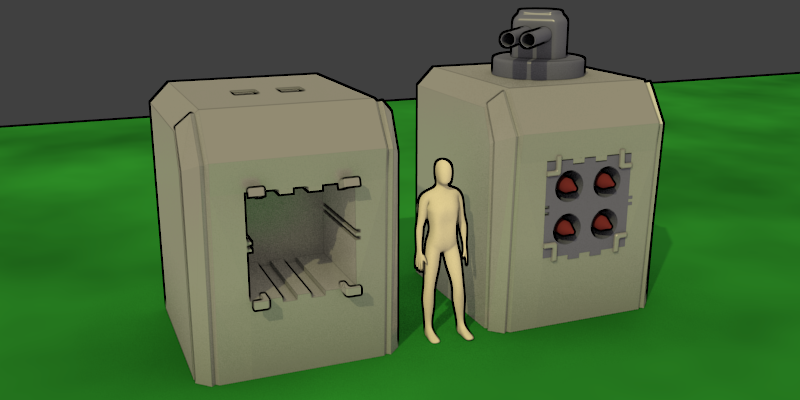 I worked a bit on modular components. Its still a WIP, probably top and bottom rails should be alot larger so that the module will be able to "sit" on them. There can be 2-slot sized components or slots and two components can be batched together to fit in to double sized slots. @Skorpio: Lego mechs didnt crossed my mind but not a bad idea either. After finishing modules, I will design for weapons and propably armor plates. When I think about mechs the first example comes to mind is mech commander, hence the modular system. Also, your mech looks awesome. Ah, MechCommander was one of my favourite games, too. I prefer RTT or TBT over RTS games. I'm looking forward to seeing your new mech parts. cemkalyoncu: Can you give me a diagram of how they would be fit into a mech? With the possibility for combined parts such as legs-feet, cockpit-torso, torso-pelvis, etc. I am wondering how rigs and animations could be included. Alternative: Create a partial rig for each part, weight it. Create animations just for particular combinations of rigs. Pro: Easier to maintain, efficient number of bones. Con: Animations need to be done multiple times. It might be debatable, if this should be within scope of this workshop or not, but to keep it as game-ready as possible, it should be tried at least, imo. Most people with experience in a 3D app know how to model, since this is what everyone does first. But while walking down the production road, unwrapping, texturing, rigging, animating, the number of users get smaller and smaller. 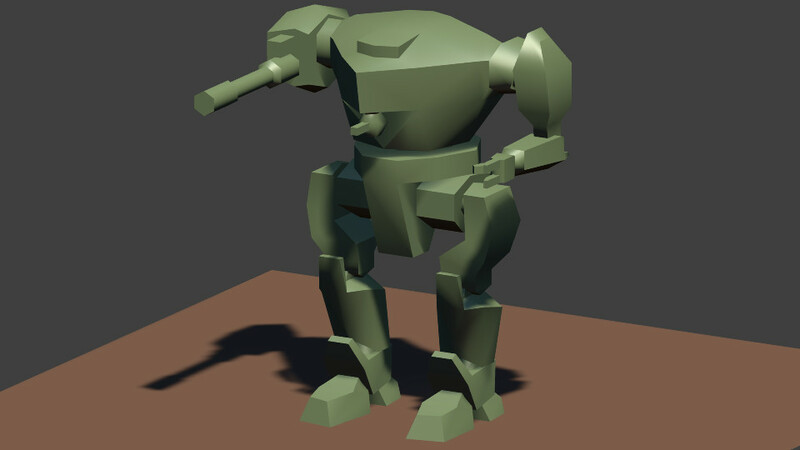 A workshop that only focuses on being a help with modelling, is not a big help at all, if watching the big picture that is labelled "I need a mech for my game". Anyhow, maybe someone has a even better idea with more pro and less con? As I stated before, I don't think animations or textures should be included (except for high-poly meshes readily set up to bake normalmaps etc.). While I understand what you mean Riidom when you say modeling only doesn't help that much, I doubt a full "ready to go" set is realistic to do with such an uncoordinated group-effort and as I stated above the entry barrier should be kept low (which is basically the opposite idea of yours). I think the main benefit of such a set of mech parts would be to avoid spending a lot of time to model all the detailed "greeble" parts and instead having a library of pre-made parts to integrate into ones mesh. Similar to those meshes linked above, and not to different from the shipyard set that was the original starting point of this idea. So my proposal would be that the goal shouldn't be fully done mechs but rather detail parts like vents, heatsinks, weapon-barrels, rocket-launchers etc. which can be used either as surface detail to bake a normal-map or to supplement a self-made mech with additional components. My proposal for inclusion of UV maps mainly comes from my personal experience with the shipyard etc. 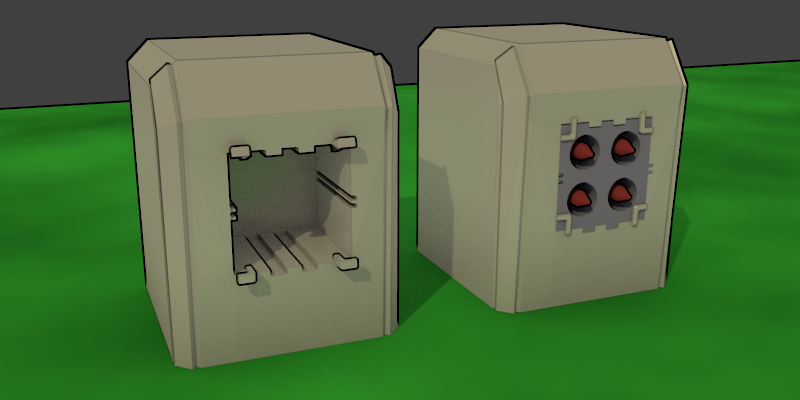 which are not uv-mapped and thus really de-motivate me to work with them, as UV-mapping is a quite boring work especially if you have to do it for so many (not-selfmade) meshes the same time (instead of doing it part by part while modeling them). So what you suggest is creating a collection of decorative Science Fiction Items, that would not only apply to a mech, but also could be found at the walls of a base, or at any vehicle in general. The other idea that is discussed in this thread is creating modular mech parts. The shipyard leans more toward the second one, since it is actually ship parts. The difference is, that a ship is more or less a static object, just floating around, with maybe single parts animated, but moving as a whole - what does not appear to a mech, who is actually walking. A collection of decorative items is still a good idea, it would be basically an advanced, manual version of the discombobulator addon. I hope I summed that up correctly, since the definition of the target should be clear first of all. If you ask me, both Julius and riidom are right. Without proper textures, animations and rigging, having these assets are not very useful. However, Julius has a point, not everyone can do these. So, what I propose is the division of tasks. 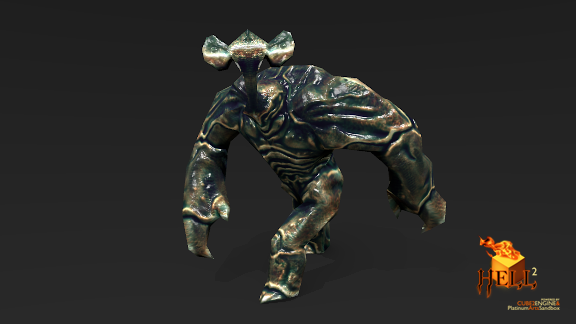 Lets produce some raw models, then whoever is able may take and animate or create textures for it. Until a model is fully complete we wont count it finished. Therefore, at the end there will only be fully usable models. @surt: My modules will be placed just like the weapon parts embedded inside the second and the third mech. 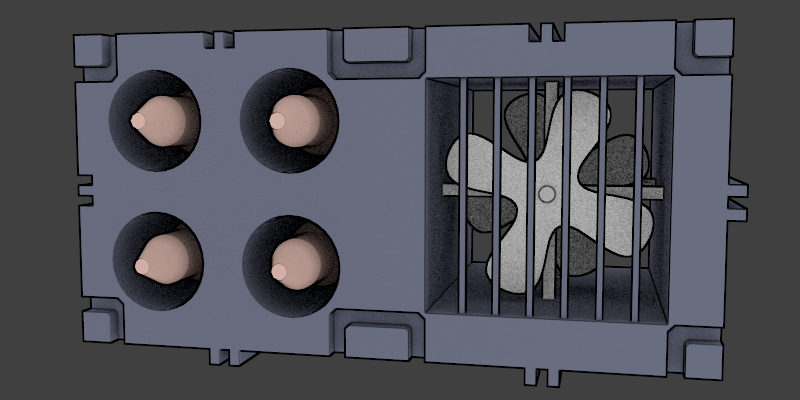 I believe it would be best to place heat sinks on the back. Hi everyone, as the one who put the ball to roll i want to say some things; The purpose to this workshop would be, to be able to easily make a mech(or whatever) out of modules with just drag and drop. To that point, Surt concept is great, a central/torso module, arms, and a juction for legs and different number of hardpoints depending on torso size (light torso - few hardpoints, heavy - lots of them) the only thing i dont like about are the feet, they should go fixed on the legs, no switching feets since their junction points are just too different and i cant figure out one to fit them all. Also, if this worshop is not as complete as possible, then it just becomes a collection of random, half finished, chaotic, models dumpster. The idea is simplicity to create something, not to make a novice user need to waste a hour just to find something useful. That implies all included models should be finished, even if that requires them to pass some kind of filter directed by someone (the workshop director ;) ). I know its difficult, but if there is no quality and just half finished assests, its no different from browsing the whole webpage downloading whatever looks somewhat useful. Finished art is hard to do, i know, but adding unfinished art is just going against the general idea of doing a functional workshop, something of homogeneus quality. Though thats only my opinion (somewhat perfectionistic, i know). Im with Cem on this one. 51-75 death animation, torso falls down, weapons blow around? 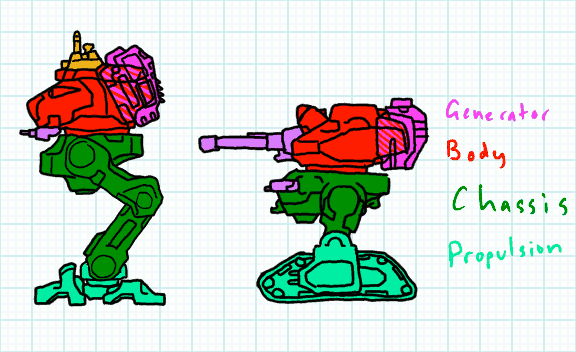 Since these rigs would be pre-created, the artist just adds the bipedal rig to his two legs, or the tracks rig to his tanks slugs, the recoil rig for machineguns or the heavy recoil for cannons or rockets, a torso rig thats sways a lot while walking for ligth mech or a rig thats barely sways for heavy mech... so every piece would just be animated on the frames they do something relevant (ex: weapons on frames 26-50 and maybe 51-75, legs only in frames 1-25). This is no doubt a huge project, that will take a lot of time and dedicated users, but i think can be done with enougth time and community love. Skorpio being here is a good thing, since his previous mechs can be used as a base for ligth, medium or heavy mechs, they just need to be made compliant (read as separate the parts) and we have the start of the worshop going. Heh... I seem to be the minority here then ;) But don't tell me I didn't told you when this never gets off the ground or you end up with some half finished models :p (jaja, doomsday... pessimism is my second name ;) ). IMHO if such a strategy is to succede you will probably have to look for an actual game to contribute the fully made models to. Otherwise it will be difficult to keep motivation up and actually produce something worthwhile. However the last has a really limited engine from a graphical point of view, and doesn't use regular textures. I have zero 3D design experience, but I can help on the planning side. Style Guide ( this has help both the Tango Project and LPC). Very few will use a set of mechs or parts that don't look like they belong togather. No one likes double work. Their may be two or more factions with different styles later but focusing on one to start is good. Decide what to make first. Here I think the best order is to design couplers for joints, parts and weapon mounts. 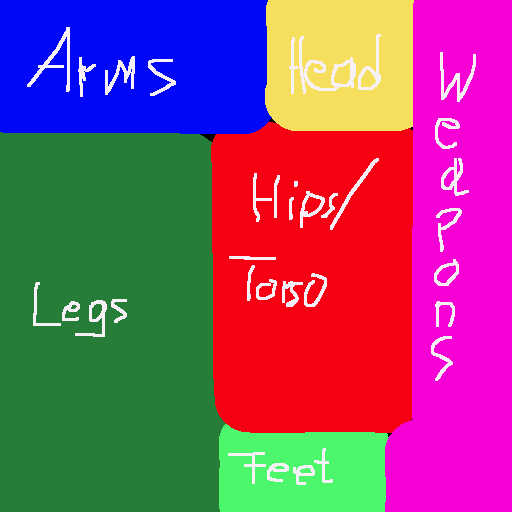 Then move onto designing weapons, body parts, etc. Making the parts from a standard base means more variety. Texturing and rigging. Get Git/Whatever for versioning, figure out if there is an easy way to diff blend/collada files. Sounds like a fun project. Having a great looking Mech Warrior/Commander like game that doesn't use IP we don't own would be nice. Hope we can get it off the ground. Cem, Julius: I don't think at all this is a either-or question. I was in need of clarification, since it sounded like people are talking about at least 2 different things here. Modular detail items would be of course of use, though I dont understand the need to unwrap them; if you bake their normals onto a blank, lowpoly bodypart, only this would need to be unwrapped? Or am I getting something wrong here (again)? While at unwrapping, how should that be organised? The mech will be a single object, with a single unwrap in the end, am I right? so the unwraps of the parts shouldnt overlap. We will hopefully have prebaked textures too, but I imagine it a pain, to scale and move around islands in blender before exporting, to get a proper uv layout, and then do the same scaling and moving in gimp/PS with the ready textures to make them fit again. I added a random layout suggestion, it might work, until someone actually uses it and proves it is not good, following surts color scheme in the image above. I made a pair of legs, to get things a bit started. They are very simple, consider the modelling more as a placeholder or a blueprint. I focused my work here on the rig, and so it is neither unwrapped nor textured (I assume these legs wont get in a game as they are). 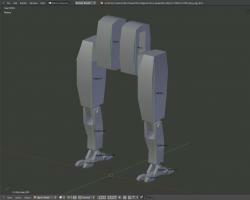 1.Scale: I just assume a roughly 10x human-size, so the legs are 9m tall now (including the hip part). 2.Bone Naming: I tried to get not too special here, and keep a common style. About animations: I think using one or even a few master rigs that fit to all variants, is just not possible. Just look at surts image here http://img.uninhabitant.com/doodles.png and focus only on the legs. We have trisected, bisected, knee forward, knee backward, for the feet it is similar rich of variations. Then add different type of joints (spindle to rotate only on 1 axis, ball joint that rotates on 3 axis) and a master rig would get so complicated, that it is no fun to use anymore. 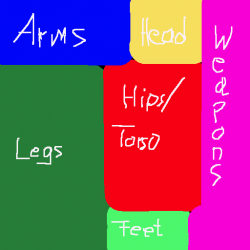 Also, a mech with real feet would move his legs different than one with tracks instead of feet, and both would influence the countermovements of the torso and shoulders in a different way. I don't see a way to get this all together. It might be a better idea, to see what variations become most popular (like in, to what rig parts the most model variations get done), and then create animations especially for these combos. So, feel free to create some legs fitting to this rig (lengths of legparts, distance from left leg to right leg and things like this dont play a role, also the angles of rotation constraints can be adapted). If you want to finetune the rig to your legmodels yourself, feel free to ask questions. If you come up with a different leg design, it would need a different rig, this way we can evaluate what kinds of type are usable. We need a middle path between universality and variation here, I think. And one more edit: How to organise the files? Attaching to this thread is in long term not the way to go, I think. I think joining all the seperate parts in one object and one texture rather defeats the purpose. Being able to vary configurations in game would be one of the coolest benefits of something like this. As for rigs I (a far from experienced rigger) would think that per-component rigs with IK to a minimal whole-mech control rig (for foot and arm targets, torso and pelvis orientation). Generator/Power Supply which I forgot earlier, though it could of course be totaly contained within the body. Given you'll always want a matching pair of legs and that the pelvis prettymuch just connects the legs together they could be combined into a single part: chassis. Thought the would prevent possible cool designs with a merged torso and pelvis from having variable legs. Another thing I forgot is jump facilities. These would often be built into the body, but also have tiltable jet/rocket nacelles in place of arms and single-burn JATO style disposable jump rockets. 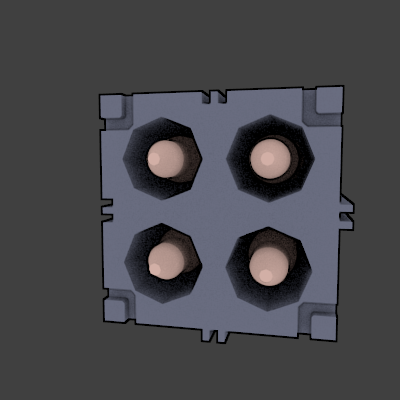 If it really is only for normal-map baking then there is no need for a UV-map of course, but I was rather thinking about a little bit more complete structures that include a lower-poly bake target. UV-island would need to be move around to fit the final map of your mesh of course, but that is still less work then making the UV-map yourself. 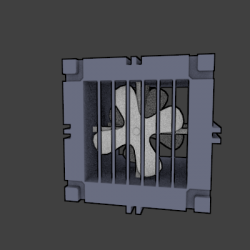 However I am actually a bit concerned about different UV-mapping styles (and quality), as some people preferr disortion free but cut-up maps while others preferr less cut-up ones (which also render faster and give less baking artifacts). Prebaking textures is unnecessary if the mesh is properly set up... that is then just one extra click in Blender. Nombre del taller: Arte Conceptual y modelado 3d libre. 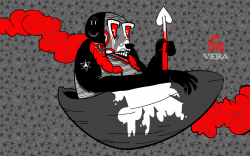 Descripción: El pariticipante en este taller desarrollara la creacion de un personaje asi como la visualizacion del mundo donde se desarrollara, para su inclusion en un videojuego partiendo desde el desarrollo conceptual de la obra artistica en 2d, asta el desarollo del modelo en 3d, echo en su mayoria con herramientas Libres o gratuitas. Es todo lo que creo que se necesita abarcar por el momento, el taller se impartiria por medio de texto y algunos videos, en formato pdf, para su descarga desde OGA. I guess we should wait for Nushio to translate or use google translate and may be it would be easier to understand that way. As far as I understood from the ginglish, he is proposing a new workshop on organic modelling. Something like that. forgive, do not speak English, a user community support me with the translation of the workshop, the most I can do is translate the agenda with google, Greetings! 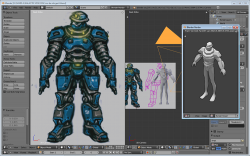 Name of the workshop: Conceptual Art and free 3d modeling. Description: The pariticipante in this workshop will develop the character creation as well as viewing the world where developed for inclusion in a game starting from the conceptual development of the artistic work in 2d, till the development of the 3D model, echo mostly with free tools or free. That's all I think you need cover for now, the workshop would be imparted through text and some videos, in pdf format, for download from OGA. Alright, I have done clamps and rails for the mech body for the modules. This is a tiny mech so it has only one module slot. I hopefully will have sometime for weapon mount this weekend. @surt: modular wrists will definitely make it interesting. Replacing a hand with a minigun is way to go. I did a basic socket for weapons. As before this is for a 1x1m object. looks nice cem, these are meant to be placed ontop of shoulders, yes? The gun and its slot is supposed to be on shoulders. But probably there can be more than one slot in most cases. For rendering I only enabled Edge option and set the threashold to 255. Mocked up a basic mesh. Just over 1K tris with minimal accessories.